This year's Mushroom Fest will be August 25th & 26th. The fee is $100.00, including lunch on Saturday, a wine and cheese reception Saturday afternoon, and a light lunch on Sunday. There is no one-day rate. Please leave your dog at home. The seminar starts on Saturday, Aug. 25th, at 9:00 a.m. at the American Legion Hall, 338 N. Railroad Street, Buena Vista. Check in between 8:30 and 9:00. 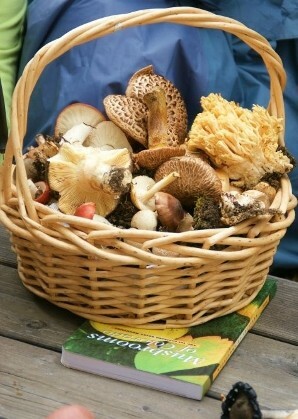 Mushroom expert Ellen Jacobson and other members of the Colorado Mycological Society will present slides, display tables, handouts and information on locating and identifying mushrooms. In the afternoon, attendees will carpool to the local mountains to go on mushroom forays. For more information, call 719-395-8458.